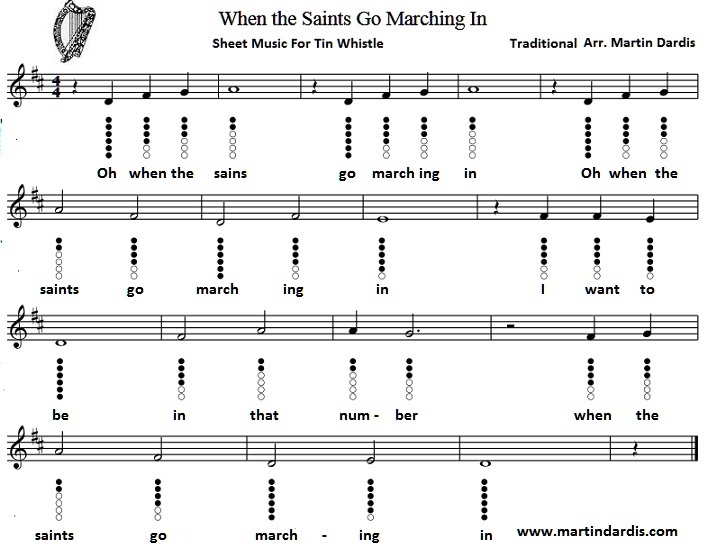 When The Saints Go Marching In Tin Whistle Music Notes. I'm playing in the key of D on this one. Just follow what I'm playing and you'll have it in no time. 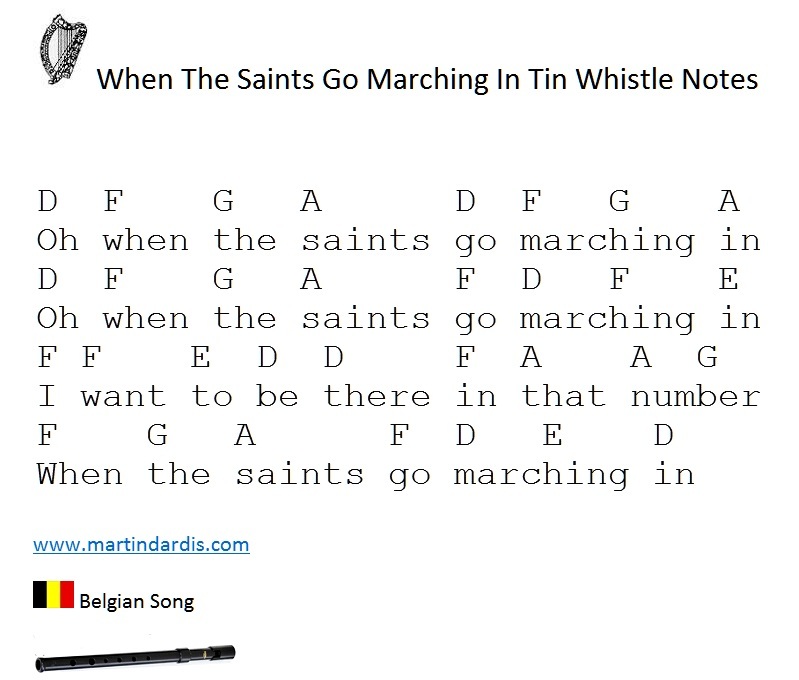 If your only starting to play the whistle there are several more handy one's on the site including Children's Songs On Tin Whistle By placing the letter notes over the words I hope to encourage more people of all ages to take up playing the whistle once you see how easy it can be, well this one is anyway. When you are finished with this one why not try another easy one such as My Heart Will Go On again there's a video to show you which notes to play. I keep these one's simple to encourage more to take up playing a whistle. There's about 30 of these one's on the site to learn before going on to the more difficult songs.